Thank you Tatyana for So yummy & So many types of cake to sample! This cake is my FAVORITE CAKE! 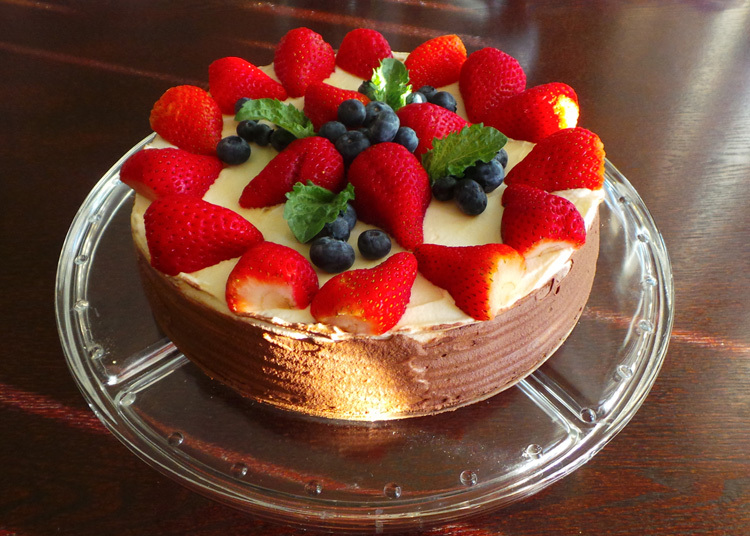 It has delicious combination of creamy& light cacao with the refreshing test of the berries strawberries/blueberries. The dough is soft & moisten. This cake is so delicious that would melt in your mouth. Recently I ordered this cake for a lunch out of my co-worker. Everyone says it was the best cake they ever had! At the event we had a few guests who had a gluten intolerance, they were amazed that the cake was gluten free! I would highly recommend to try this cake.